If you were to take a look at my phone, you would find a whole folder of screenshots with outfit ideas for summer. I don’t know if it’s my eternal impulse to travel somewhere or just the idea of adding some new pieces to my closet for sunny days spent out of the office, but right now I can’t escape thoughts of beefing up my summer wardrobe for the months ahead. And yes, I’ve narrowed in on some especially cool outfits I’m interested in trying and the pieces to replicate each look. Yes, there are some essential pieces that should be in any summer wardrobe, like pretty florals and the perfect white top, but there are others that I’m expecting to become huge trends in 2018—including one of the season’s biggest silhouettes and the skirt that’ll be on your Instagram feed all summer long. 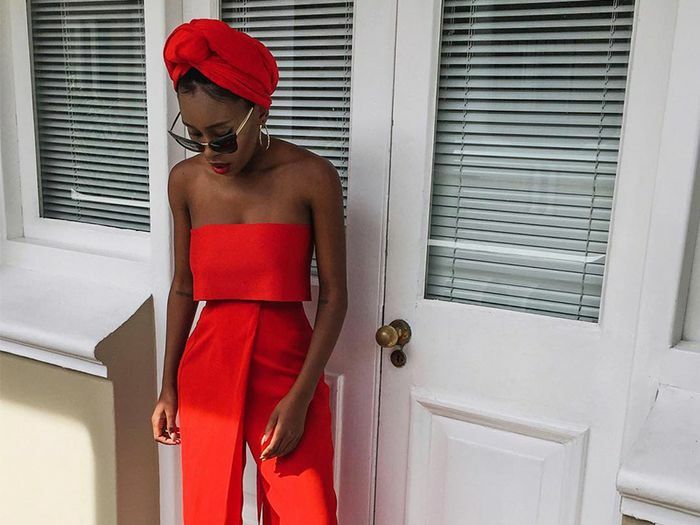 Ahead shop 10 key pieces to wear this summer and see how fashion girls are wearing them. One thing you can throw into any suitcase this summer is a dress in a versatile print that will work from day to night. Give your bikini a rest and try out a one-piece with a retro feel instead. Make sure to add in pieces with a pretty floral print. It’s the seasonless go-to that works year after year. We are all about the corset-inspired pieces that are popping up everywhere right now. Especially ones like this that feature cool button details. We’re calling it—this leopard-print skirt from Réalistion Par will be the It piece of the summer. We’re over wearing uncomfortable shoes—you’ll be able to find us wearing low slides in a bold pop of color instead. Puffy sleeves are the silhouette of the season, and we can’t get enough of them. There’s nothing we’re craving more than fun cherry prints. When it’s hot but you still want to wear pants, make them a breathable silk version. You can really never go wrong with a white top, but make it a fun version with interesting details like the square neckline and covered buttons. We would happily add each of these pieces to our summer wardrobes.